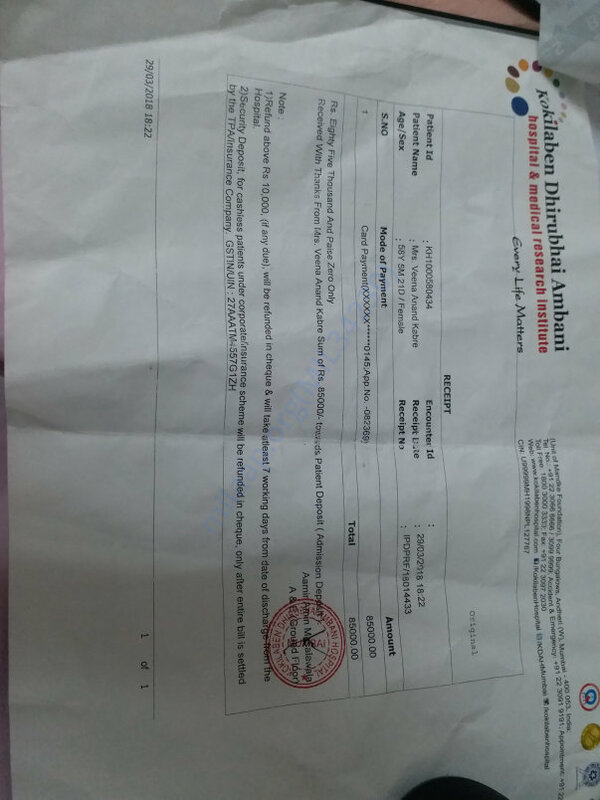 VEENA Kabre 58 years old lady suffered a massive brain haemorrhage on 28/03/2018. She was rushed to a local hospital after she lost complete consciousness on 29/03/2018 , after preliminary MRI it was evident that she had suffered sub arachnoid brain haemorrhage which has completely weakened the left side of her body. 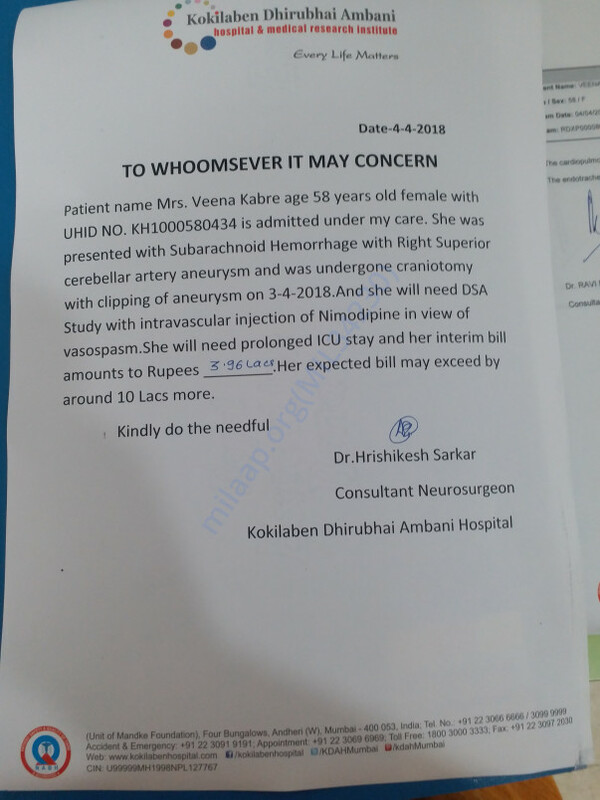 After brain scanning done on 30/03/2018 at Kokilaben Hospital it was found that there is tiny aneurysm in the subarachnoid region of her brain which needs to be operated at the earliest within 72 hours of stroke. VEENA's husband 65 year old Anand Kabre is a retired person with no pension and he is suffering from Parkinson's disease since last 15 years. He himself is bedridden and has undergone several surgeries including bypass of heart in 2010, two hip fractures in 2013 and 2016 respectively and a paralysis stroke in 2011. Veena's daughter is the only earning member in family but she is a single parent and is finding it difficult to help her mother survive as she has been spending on her father's medical emergencies since 2010. 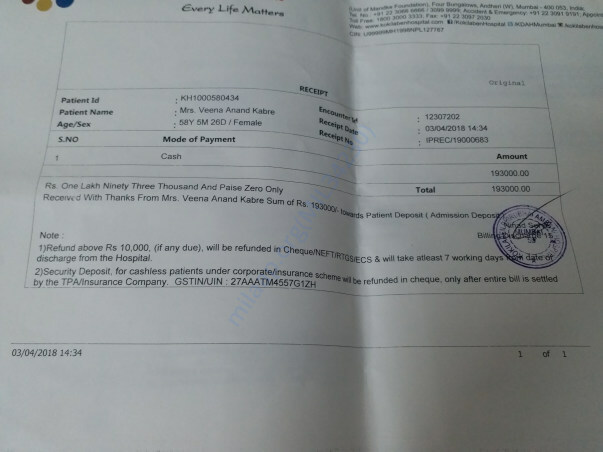 Because of lack of funds veena's operation got delayed but as there was an emergency on 03/04/2018 her daughter arranged for partial funds and managed to get her operated. However as per doctors advice VEENA will have to stay for prolonged time in ICU till she recovers. 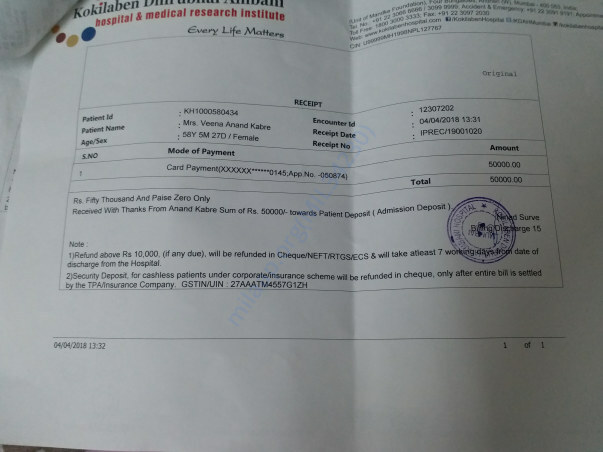 We request you to kindly extend your support towards VEENA and her family as she has to bounce back to life to take care of her ailing husband. 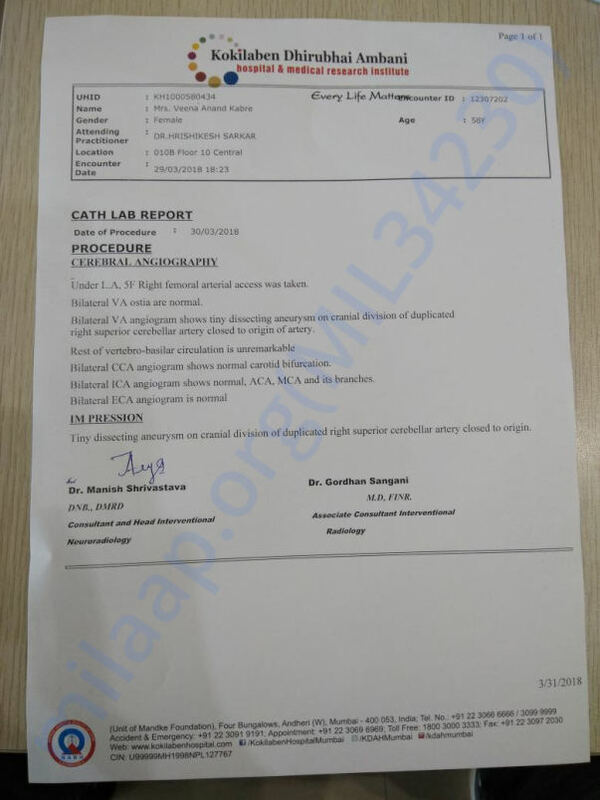 We have attached brain angiogram report and letter from doctor mentioning approximate figures for total hospitalization and amount to be paid before final discharge. 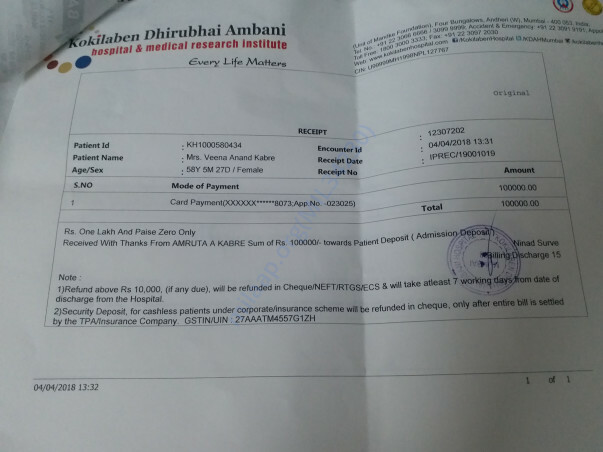 Kindly help the daughter to help her mother to survive . Thank you so much for your tremendous contribution. Unfortunately, with inexplicable grief, I'm having to inform you that my mother passed away on 13th April. She was given the best treatment possible but we couldn't save her. She was in the ICU all through the while and was being given post-operative care. There was some visible improvement seen on Thursday (12th April). She opened her eyes and could recognize all of us and also, spoke a little. But on Friday morning, she had a massive cardiac arrest which was followed by three more seizures. 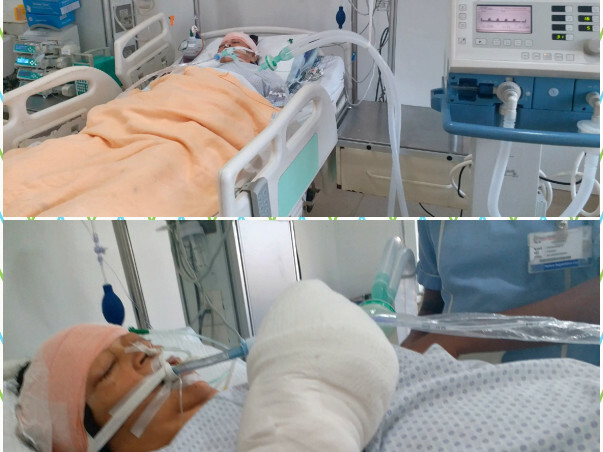 Her condition plummeted and the doctors gave a CPR but eventually, we lost her. Thank you so much for your wonderful support and love. We shall forever be grateful to you all. We shall be withdrawing the remaining funds from the campaign for the pending medical bills. Pray n power to ur family..